London’s renowned open-air cinema is back this summer and better than ever. 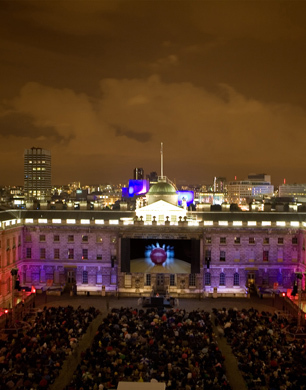 Perfect for date night or for a girly night out, the Somerset House Summer Screen open-air cinema offers an intimate cinema experience unlike any other. Calling all movie enthusiasts and lovebirds, the Film4 Summer Screen at Somerset House is returning. 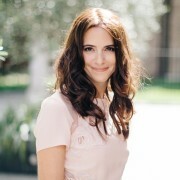 Film4 Summer Screen offers an eclectic screening of cult classics and new release feature films hosted in the stunning neo-classic Somerset House n the heart of London. From 16 – 27 August, you can enjoy 12 cult classic flicks such as Alfred Hitchcock’s The Bird’s (17 August) and Pretty in Pink (23 August) or you can sample new releases such as Lawless (27 August) and On the Road (16 August) whilst feeling the soft summer’s breeze. The 18th century courtyard hosting a giant screen and surround sound showcases cinemas most timeless pictures with a truly pictorial backdrop. Watch the sunset and the bird flies over you as you cosy up to your loved one and indulge in an unforgettable experience. Make a whole evening out of the event and bring blankets, rugs and cushions with picnics to share. For those who still may be hungry, there are food and bar concessions on site such as Tom Aiken’s Tom’s Kitchen at the South Wing of the venue. For more information or to book tickets visit www.somersethouse.org.uk. Tickets are priced at £14.50 plus booking fees and Double Bills at £18.00 plus booking fees Doors open at 18.30 with a DJ starting at 19.30 and the film starting at 21.00. For more summer days out see Tatton Park Picnic Concerts.